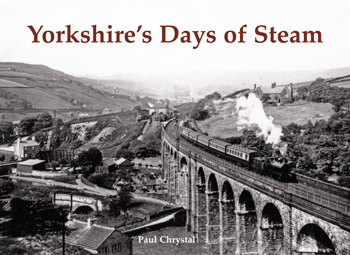 An ecclectic mix of railway-related photographs pertaining to Yorkshire in the days of steam – as the title might suggest! The author is a well-known York historian – not a railway buff – so this collection of images reflects that with less interest in locomotives and rolling stock and instead a diverse collection of images with lots of people interest like the workers posed at Skipton Engine Shed and the women platelayers at work in 1942. Of course there are photos of stations and viaducts and the turntable at Doncaster but also of crashes and events like the Baedeker Raid on York.